In price-sensitive e-commerce platforms such as Amazon, the key factors that differentiate you from other sellers are your seller ratings and feedback scores. According to Amazon, “maintaining a high feedback rating is crucial in becoming a successful seller” . Feedback and reviews have powerful impact on how your Amazon store is perceived by others. There’s no doubt that high feedback ratings can lead to better seller reputation and greater chance in winning the Buy Box. 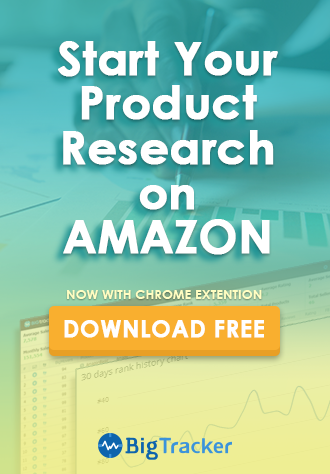 With that in mind, taking control of your Amazon seller reputation has become a critical task for many sellers. By utilizing third-party feedback software, you can simplify your feedback solicitation process. If you are still on the fence about whether or not to use third-party feedback software, consider the benefits below and decide for yourself! Are you still writing individual email to each buyer? 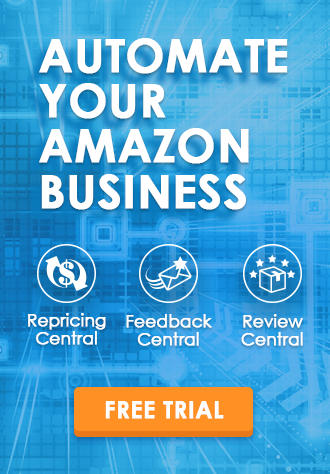 Manually checking your Amazon orders and looking for a more efficient way to manage your feedback? With Amazon feedback software, you can cut down on the time spent re-writing emails by creating customizable templates. To maximize the effectiveness of feedback solicitation, use feedback software to automate the process. Instead of manually sending email to each individual buyer, feedback software will automatically pull your Amazon order records and send out automated feedback request emails to your buyers. Once the email delivery schedule is set up, the system will follow the settings and automatically send the email for you. By automating the process, you’ll have extra time to manage your Amazon store. Before I jump to the next key benefit, I would like to stress that “requesting feedback does NOT lead to increasing negative feedback.” Many sellers are afraid of sending feedback requests because they believe this will only prompt buyers to leave negative feedback. However, whether you send out the request email or not, dissatisfied customer are more likely to leave feedback anyway, because customers are self-motivated to write reviews after a negative experience than positive one . Therefore, sending email request doesn’t necessarily lead to negative feedback. Rather, it will encourage buyers who have neutral/positive experiences to share their thoughts. So why not take the advantage of automated feedback software to boost your feedback ratings? Aside from being time-consuming, there’s a higher chance to make mistakes when sending email requests manually. As your sales increase, you are likely to get overwhelmed with the amount of email that needs to be sent. This can lead to making mistakes such as missing emails or sending duplicated requests. Since the emails you send to customers are associated with your brand, you wouldn’t want to ruin your brand reputation by making small mistakes. With an automated software, you are able to manage everything under one browser, so all your emails are under control. Even though Amazon sends out automated emails to your buyers once orders are placed, most of the time they are ignored by buyers because they are not “personalized” enough. Oftentimes the email open rate is dependent on how well the email is written and what the email looks like in terms of the actual content, layout and format. With Amazon feedback software, you can customize your email templates by attaching files, images, logo and theme. Reaching out to your customers with unexpected content will surely boost your response rate. For example, attach a cooking recipe when selling kitchenware. Exceeding customer expectation can lead to higher satisfaction, which can turn into positive feedback. Feedback software gives you the flexibility to tailor your email content that suits your needs, so that sending out feedback request emails is not merely asking for feedback ratings, it is also a way to providing customer support post-sales and market your brand. However, one thing to keep in mind is that “you may not offer pay nor any incentive to a buyer for either providing or removing feedback” , as this is against Amazon policy and can lead to account suspension. Feedback software automatically downloads all your feedback into one central location, so you can spot negative feedback and respond promptly. Feedback software also keeps a record of all your responses to buyers and allows you to make notes. You don’t have to monitor the situation and check back repeatedly on Amazon to see if the negative feedback has been removed. You can easily track your email status and analyze the email performance. An intelligent tool like BQool Feedback Central provides you with all the aforementioned benefits and helps increase efficiency in feedback solicitation. Be proactive in managing your reputation and start your 14-day free trial today with BQool Feedback Central.